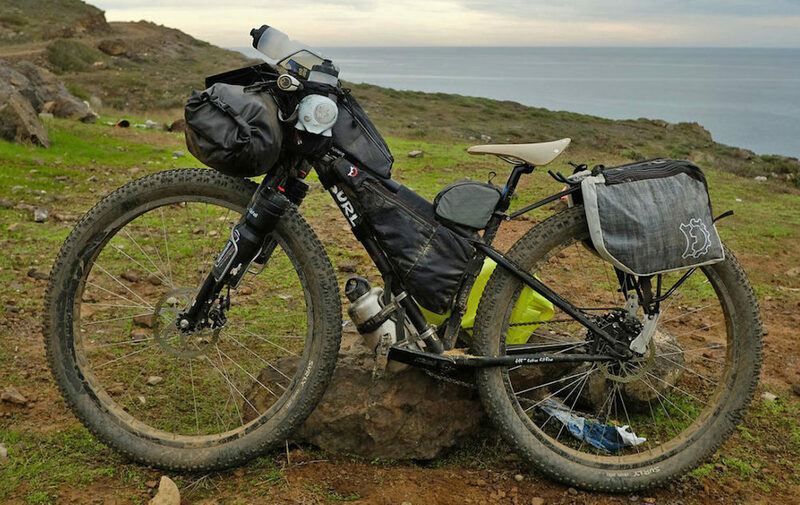 Panniers are the quintessential luggage option for bicycle touring. They’re easy to take on and off the bike, they’re waterproof and they offer a large, easy to access cavity. While almost uncommon on bikepacking setups, panniers can make a really useful contribution to your luggage suite. 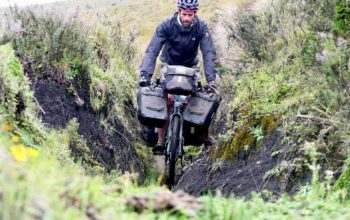 A handful of bag manufacturers have acknowledged this with the release of some innovative bikepacking panniers. 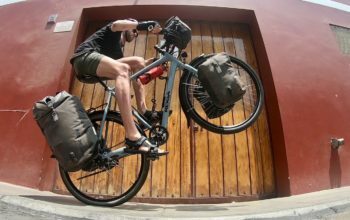 What’s The Deal With Bikepacking Panniers? Revelate Nano Panniers mounted to a small Surly Krampus. – They’re smaller and narrower in profile for getting through tighter spaces. – They don’t get in the way when pushing your bike. – The smaller frontal area has less aerodynamic drag than more voluminous panniers. 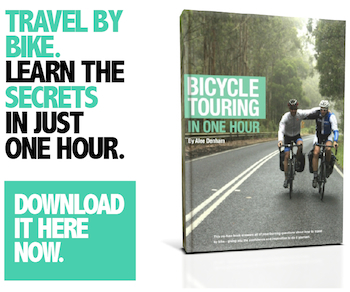 – They’re typically lighter than touring panniers. 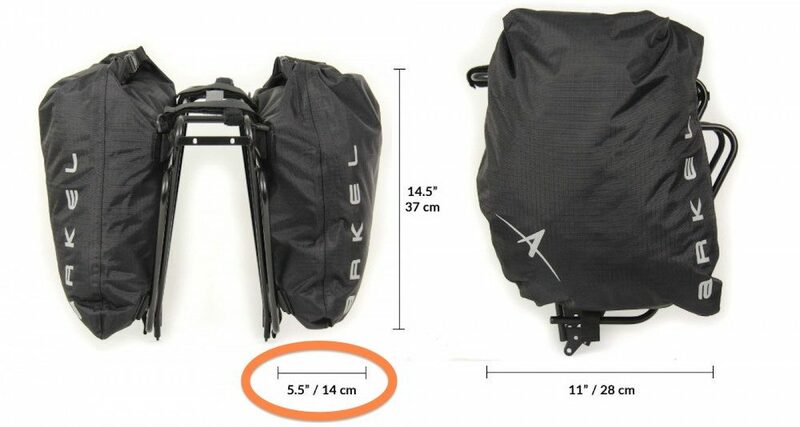 – They a great alternative bag option for small bikes with no space for a seat pack (see pic above). – They offer additional storage for food or odd-shaped equipment. One of the genius things about most panniers is that you can take them off instantly. That’s thanks to the opening/closing hooks found on the back of most panniers. – They’re noisier on the trail. – They’re susceptible to damage. 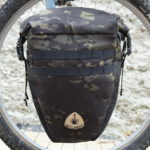 You’ll find velcro and cinch straps on the backside of many bikepacking panniers. 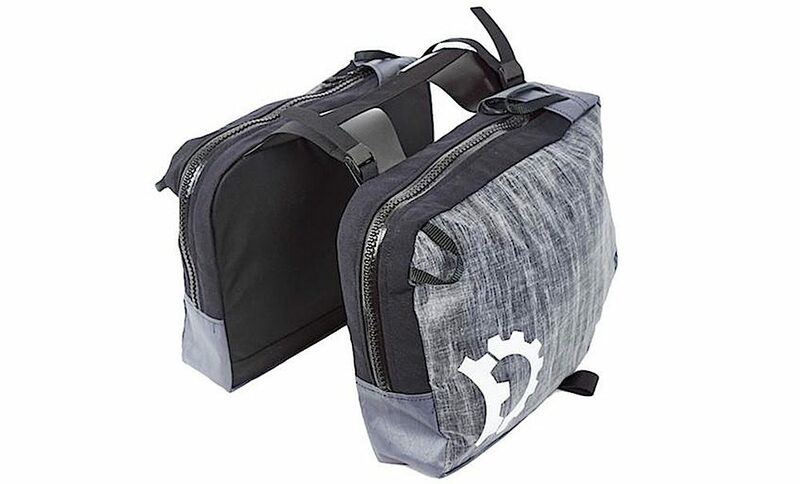 This allows for a tighter fit to the rack whereby the soft pannier backplate can mould to the shape of the rack, ensuring there’s no space for the bag to move. That said, clip and hook systems still work well off-road, and very rarely experience failures. I’ve only ever broken lower anchoring hooks after years of heavy use. You can fit velcro or rubber tubes to sections of the rack to mitigate noise, and a bungee cord around the rack and pannier if it isn’t sitting firmly in place. An important aspect of bikepacking panniers is the front profile width. The narrower the profile, the easier it is to squeeze between obstacles or, in the case of rear panniers, to push your bike. A smaller profile bag also has the benefit of being more aerodynamic too. 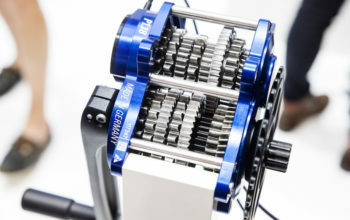 The panniers featured below have front profile widths ranging from 7.5cm (3″) through to 14cm (5.5″). Rear touring panniers can are between 17 and 26cm (7-9″) in comparison. Heike (PushBikeGirl) uses regular Ortlieb Sport-Roller panniers on her rear rack. 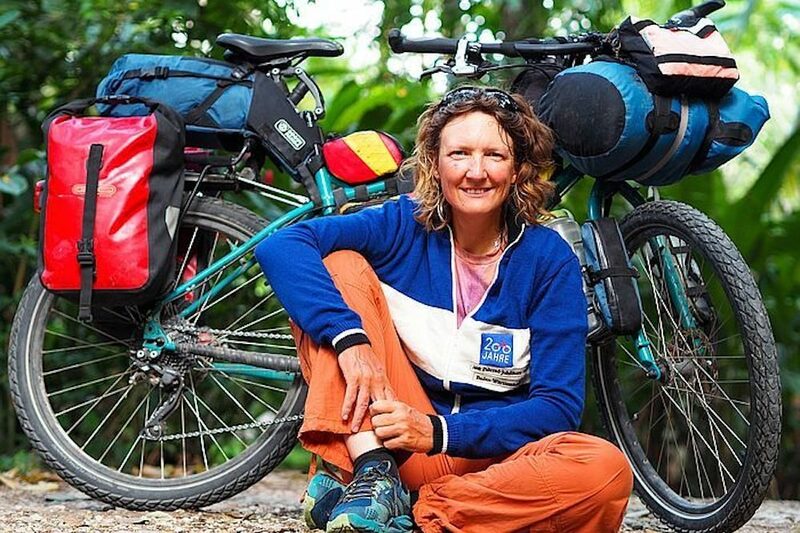 You might be led to believe that you need bikepacking panniers for your adventures, but the reality is that lots of people use small panniers that were originally intended for lowrider front racks. 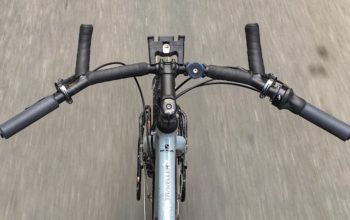 Ortlieb actually re-named their ‘Front-Roller’ model to ‘Sport-Roller’ to avoid the confusion that they only work with front racks. You can buy lower anchoring hooks as spare parts for many panniers, allowing you to double up for additional pannier stability without the need for bungee cords too. Right, let’s take a look at the more bikepacking-specific panniers. The Anylander panniers are a collaboration between Porcelain Rocket (sewing) and the Anylander workshop (frame+assembly). 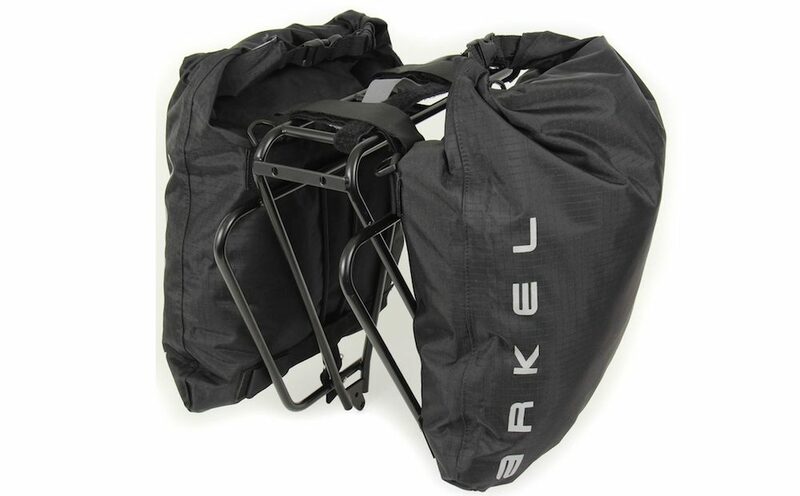 The panniers use Arkel upper hooks and Ortlieb lower anchoring hooks to make it easy to remove the bags. There’s a unique internal metal frame that gives the bags their shape even when half full and they come in a bunch of unique colours. These well-priced panniers have a large volume while also being some of the lightest. You’ll find some pretty mixed reviews on their function and reliability. The Arkel Dry Lites are well-known for their reliability. I’ve met people who’ve been on long tours who were using them. While they have a front profile width on the wide side, they taper from the bottom providing a little extra clearance. 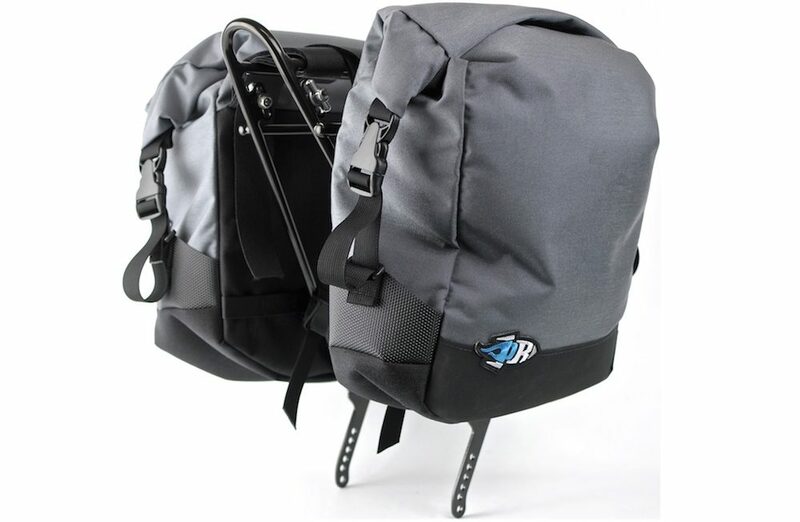 These 1.9kg panniers are the heavy-duty, fully-featured version of the Dry Lites. They have a skid plate on the lower section of the bag to prevent damage from rocks. 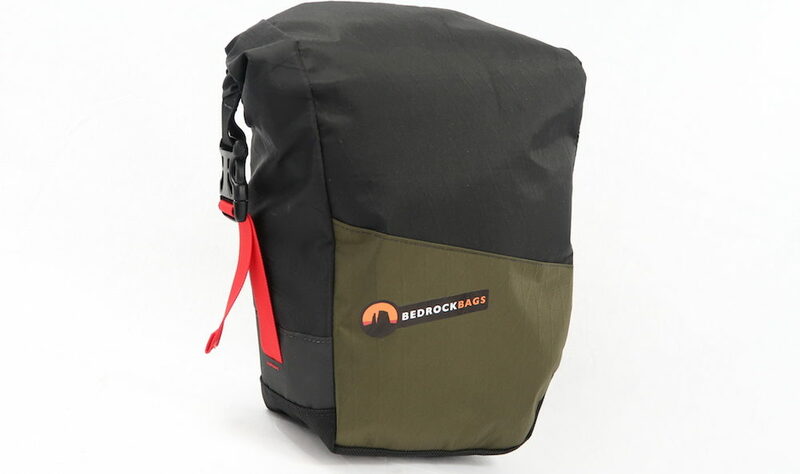 Bedrock Bags use both X-Pac and ballistic nylon materials to make a light and durable product. They have an excellent front profile width given their volume. Available in five different colours. 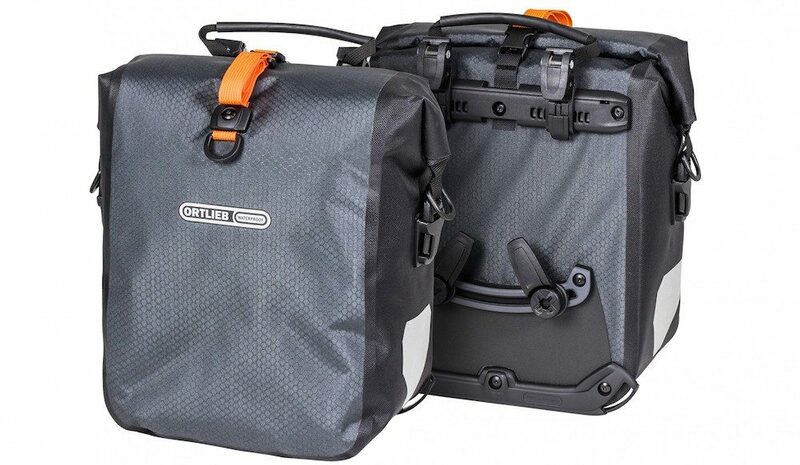 Ortlieb is, without doubt, the standard for panniers. 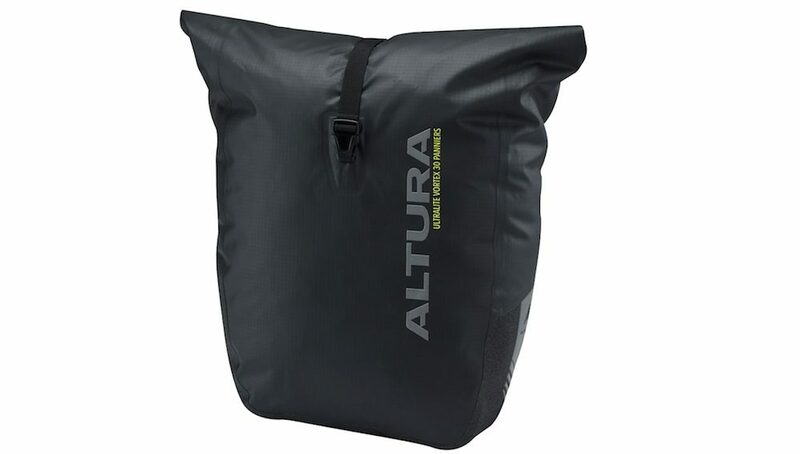 They recently released their Gravel Packs which employ a new lightweight material and closing system to shave 20% off the Sport-Roller bags. 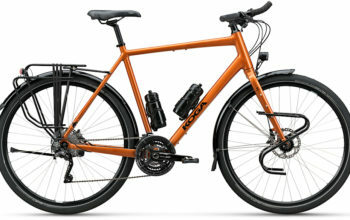 The bags come with two lower anchoring hooks off the shelf for additional stability and are coloured the same as the rest of the bikepacking range. The Porcelain Rocket Micro Panniers have featured on dozens of bikes over the years. 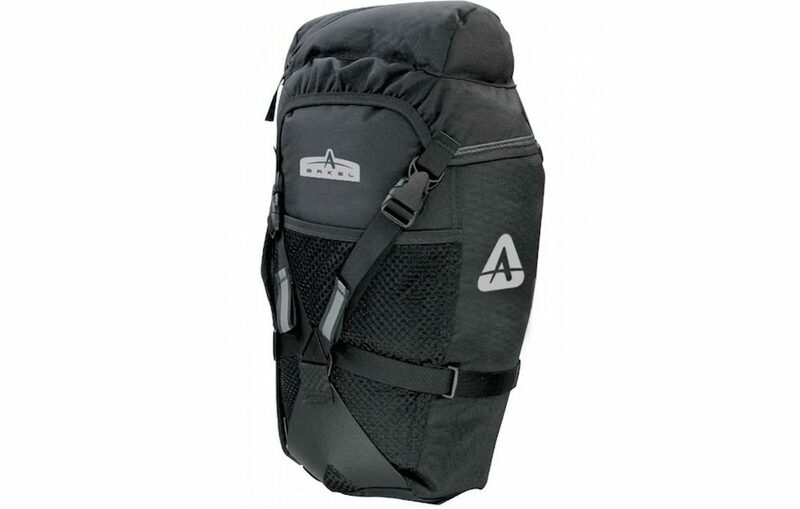 The roll closure system is similar to other panniers but Scott has selected a heavier duty material otherwise. These don’t appear on the PR website but you can source them elsewhere. 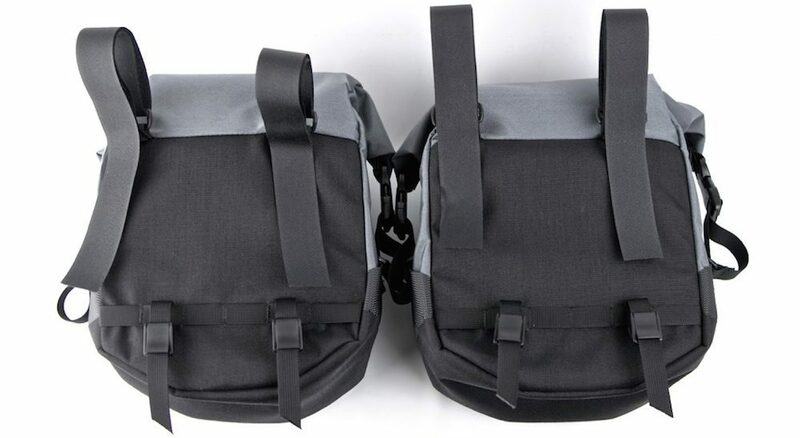 Here we have the lowest volume panniers with the narrowest front profile width at just 7.5cm per bag. 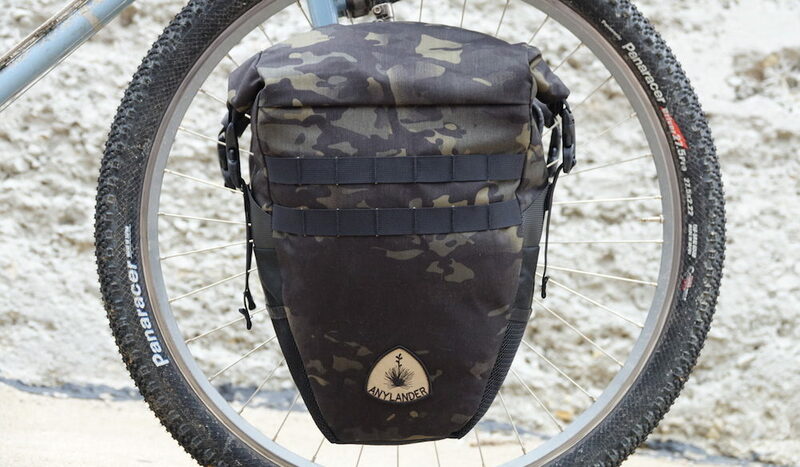 Unlike the other pannier options, the Revelate Nano Panniers use a zip to access stored goods. 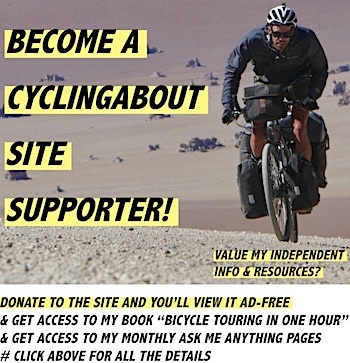 They are optimised for Old Man Mountain racks, but can adjust to most racks. The Swift Hinterland JR Ranger panniers have one of the narrower front profiles in the list. Using X-Pac material combined with hooks they’ve come up with a bag that’s closer to a regular pannier in terms of functionality, but a better profile for off-road stuff. 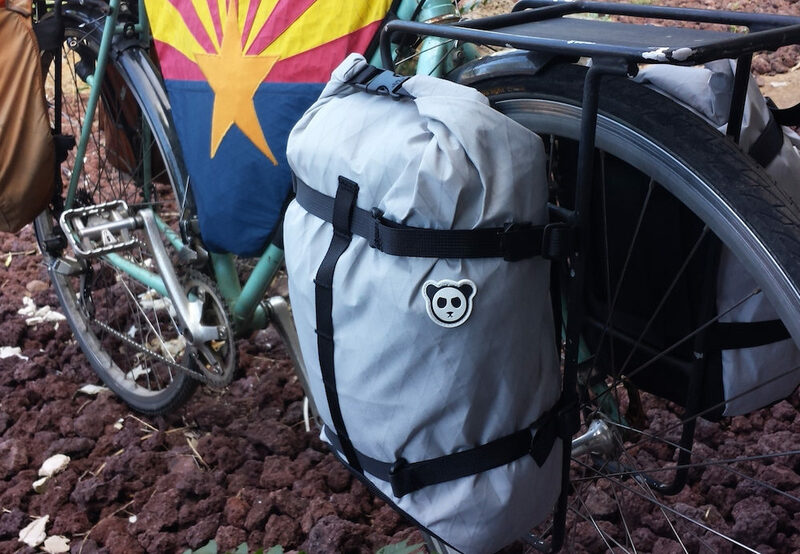 The Rouge Panda Kaibab panniers use a series of velcro straps to compress to a rack. They use X-Pac waterproof material and are seam sealed. Along the back is a foam pad which provides a tight fit to the rack and protects your gear. 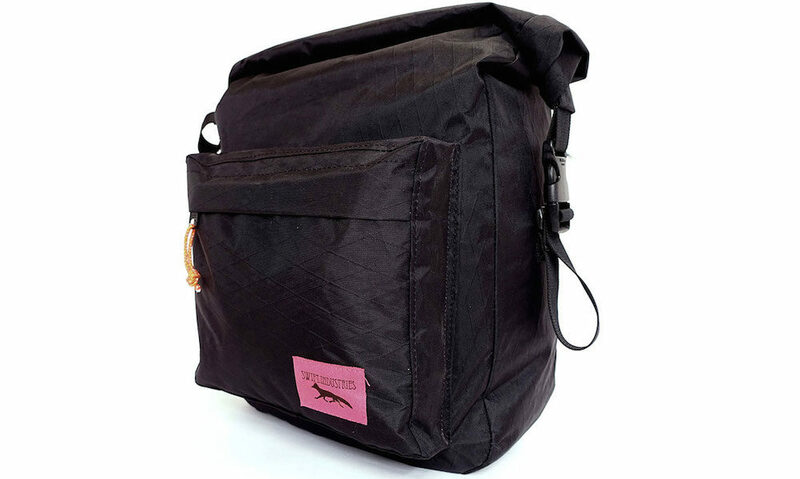 Keep in mind these bags are small-batch production only, so shoot an email through to find out when to expect the next run.